These days funeral services don’t have to follow a conventional format, as we’re becoming increasingly aware and enquiring of the alternatives on offer. With this in mind, we were interested to visit Memorial Woodlands recently, a 100-acre burial site on the northern outskirts of Bristol, to take the 3,000+ photographs required to create their new Google Business Tour. Of the 270 woodland burial sites throughout the UK, this is the very first which can now be viewed online. 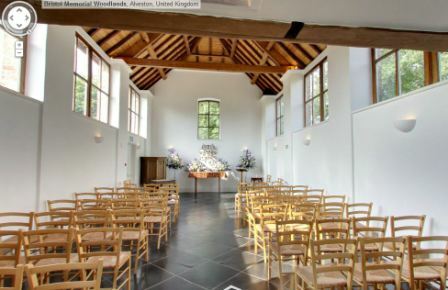 Memorial Woodlands provides a personal funeral service, with only one service held a day and families encouraged to plan individual ceremonies using the non-denominational chapel, reception rooms and woodland cemetery. They also sustain an eco-friendly approach, using environmentally sound methods and materials for burials wherever possible, and contributing to the natural environment with the planting of indigenous woodland. Our brief was to work with Memorial Woodlands to open up their space and facilities, illustrating just what is involved in both traditional and contemporary ceremonies, and helping to demystify the whole funeral process. 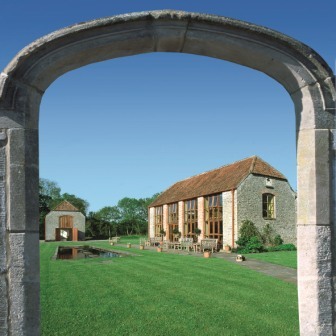 The finished tour is a fantastic visual of the woodland cemetery, orchards and landscaped gardens, as well as the offices, reception rooms and chapel. There’s even a mock-up of an environmentally-friendly burial service to be seen taking place, along with the option to experience the view as if stood inside an actual grave. Plans are to continue working with Memorial Woodlands in the future, producing further Business Tours in 5 yearly intervals, allowing people to watch the woodland growing and to keep a permanent record of progression for future generations.